Jocelyn Castillo is the founder and blogger behind Chasing Carpe Diem, a personal online diary where she documents her travels and adventures. Born and raised in Nicaragua, Jocelyn as a young girl was always curious of what life would be like in places outside of her own country. Given the opportunity, her and her family fled Nicaragua to Miami where she continued her education and graduated with a BA in Communications at Florida International University. Jocelyn was bitten by the travel bug and started traveling during her early years in college where she coincidently started her blog as a way to escape her studies. Unknowingly, she was growing a following that loved her adventures as a solo-female traveler and inspired them to follow suit. Through many cities and mountain hikes her passion for travel has only intensified and she has since dedicated her blog to help those who seek adventure. It is her mission to help you experience life through travel and see beyond your comfort zone. Jocelyn has worked with brands such as Lexus, Hotel Tonight, Aerie, Marriott, and Skyscanner to name a few. She has also been featured in Cosmopolitan magazine as most influential to look out for in their 2018 February issue. In this episode Jocelyn shares many of her travel secrets and dishes out on some of her favorite places to visit, must-haves while traveling, safety precautions, insight on where to go for the ideal GIRLS TRIP, and even how to travel with pets. She also talks about working with brands and growing her blogging business in this very niche space. This episode will inspire the wanderlust in you and hopefully get you to embark on your very first solo trip or encourage you to book that next flight! Make sure to bring a pen and paper because she is dishing some gems. ENJOY! 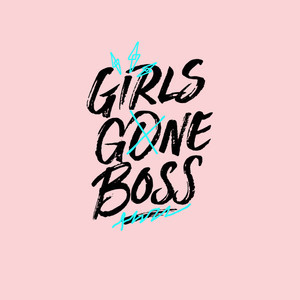 Thanks for the love and make sure to leave us a comment or DM us @girlsgoneboss. We love hearing from you!